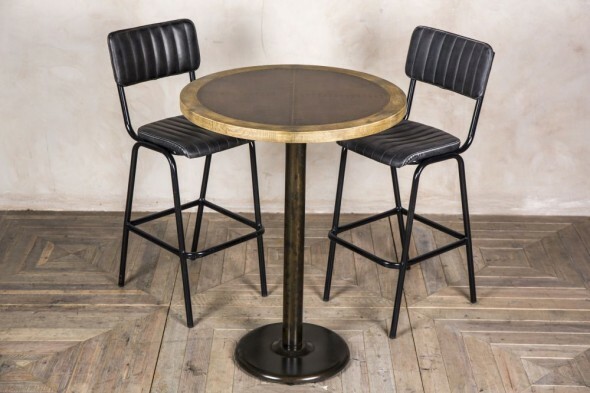 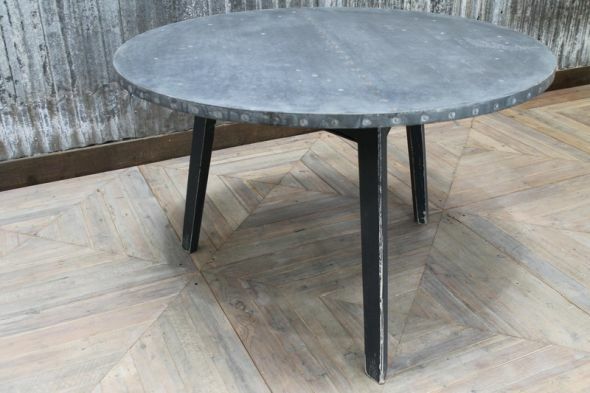 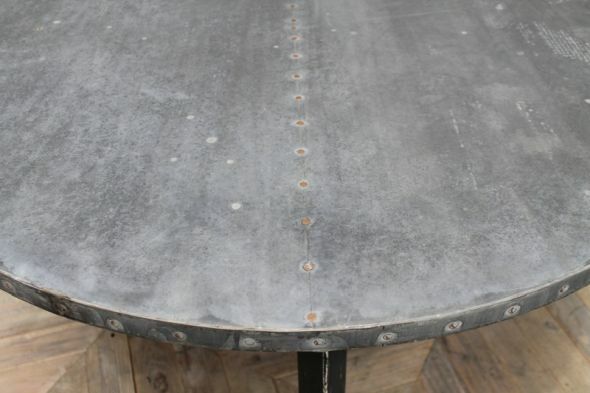 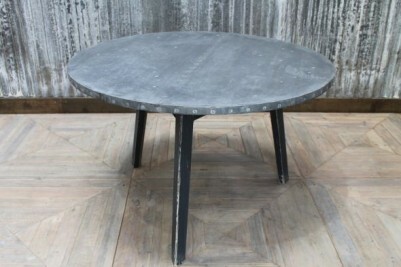 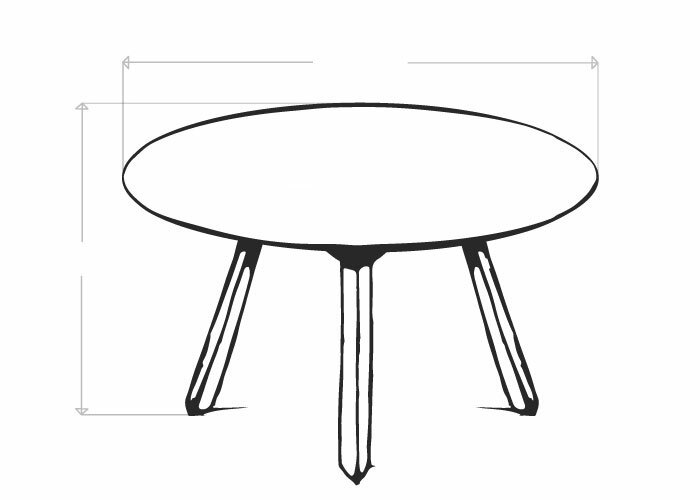 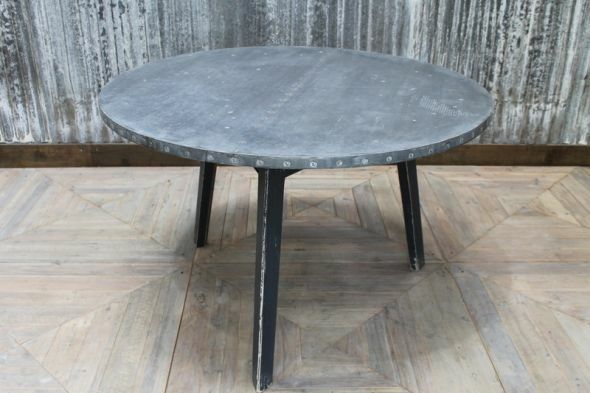 Keep up with the industrial trend with this zinc top round table. The perfect focal point for a bar, restaurant, or industrial themed apartment; this table is a really unique piece of upcycled furniture. 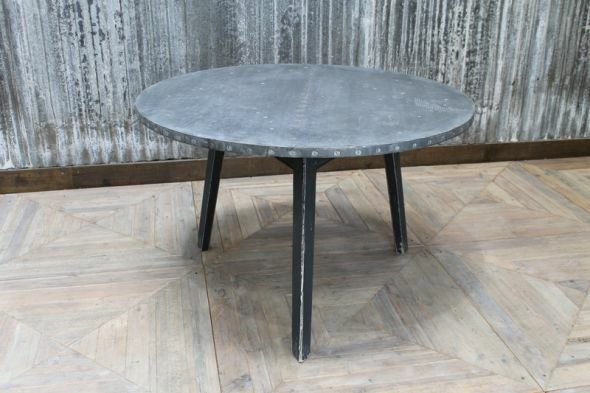 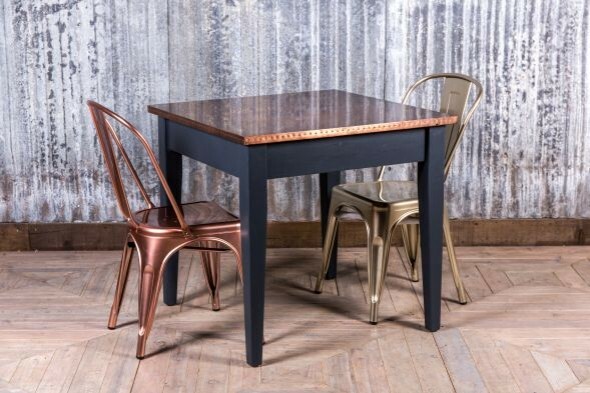 Featuring a timber cricket style base and a zinc wrapped top, the table has lots of character. 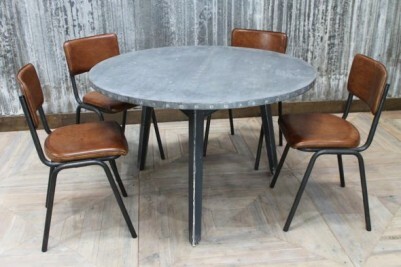 The table was recently acquired from a retired carpenter; we also have a similar table available with a pedestal base – contact us or see our other product listings for more details. As this is a rework of vintage materials, it may have some slight marks and scratches, but it is otherwise in good condition. 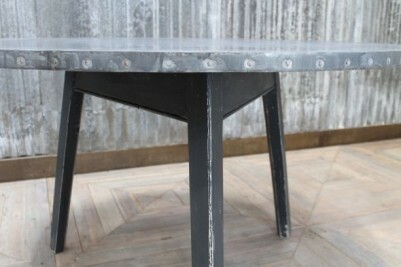 We feel that any imperfections only add to its charm. 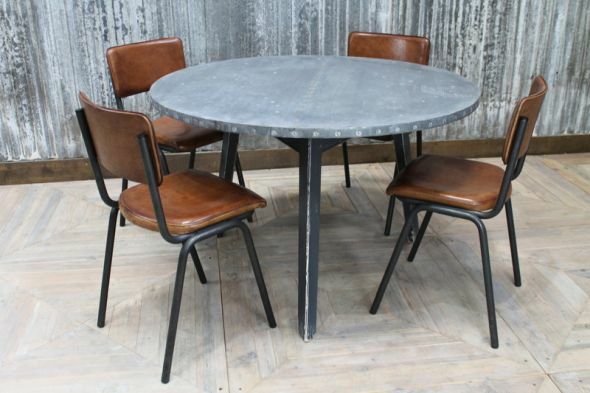 This table is pictured with our ‘Chelmsford’ tan leather stacking chairs, which you can buy separately. 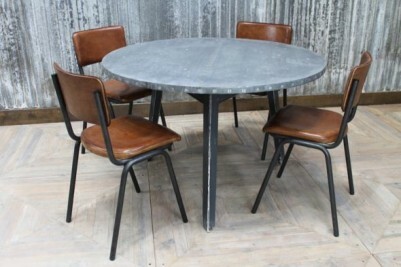 We also have a large collection of original stackable school chairs in stock. 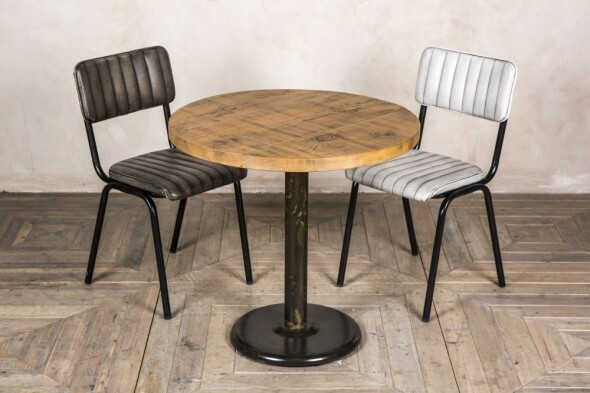 You can see our full range of seating online or at our showroom in Burntwood, Staffordshire.